Are We Overreacting to Cyberbullies? The headlines are alarming: Cyberbullying Leaves Staggering Statistics in Its Wake. High School Students Learn Consequences of Cyberbullying. Are Kids Cyberbullying Their Teachers? 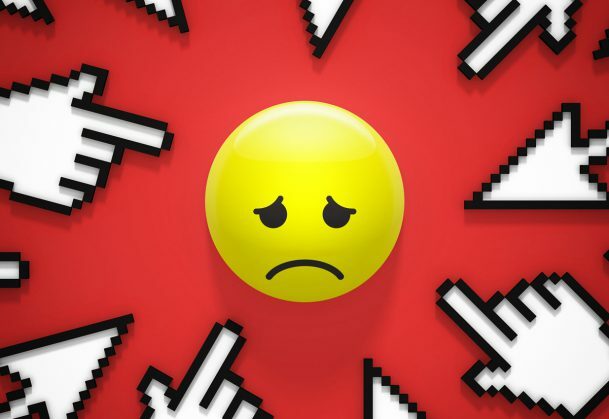 For several years, cyberbullying has remained a hot topic among journalists and researchers. Both groups have contributed to the widespread perceptions that cyberbullying is quite common among young people and that it becomes dramatically more common as the influence of technology spreads. Cyberbullying, the public has been told, is spawning new bullies and affecting new victims — kids who wouldn’t be involved in bullying at all if technology were not serving as a facilitator. Enter APS Fellow Dan Olweus, a research professor from the University of Bergen, Norway, who is known as the “founding father” of research on bullying. His empirically tested Olweus Bullying Prevention Program has been shown in a number of studies to substantially reduce bullying behavior in schools. In an invited expert discussion paper published in the European Journal of Developmental Psychology, Olweus calls for a more measured reaction to the emergence of cyberbullying. According to the data, he says, cyberbullying isn’t as common as more traditional types of bullying, and it isn’t creating very many “new” bullies or victims, either. Olweus’s conclusions are based on several large-scale studies. One, conducted in the United States, analyzed survey data collected between 2007 and 2010 from 450,490 total elementary and high school students in 1,349 schools. A second study analyzed longitudinal data obtained between 2006 and 2010 from 9,000 Norwegian students, and a third study analyzed data obtained from 2,684 middle school students in the southeastern and northwestern United States. Together, these studies show that cyberbullying occurs much less often than traditional bullying, such as verbal bullying, does. On average, across all years in Olweus’s largest American study, 17.6% of students reported being verbally bullied, and 9.6% of students reported verbally bullying others. In comparison, only 4.5% of students in the same study reported being cyberbullied, and 2.8% reported cyberbullying others. Similar differences were found in the Norwegian study. Furthermore, none of the studies Olweus analyzed showed any significant change in rates of cyberbullying over time. In part, Olweus thinks, the contrast between these results and the large number of dramatic media stories on cyberbullying may result from misinformation among many journalists and some researchers about what counts as bullying. Not all aggression should be classified as bullying, he cautions; bullying must be intentional, occur with some degree of repetition, and involve a power imbalance between the perpetrator(s) and victim. To counter cyberbullying, Olweus suggests that “schools direct most of their anti-bullying efforts to counteracting traditional bullying” because those efforts will reduce and prevent most cyberbullying, too. He also recommends that schools and communities devote money, technological expertise, and time to thoroughly investigating a few cases of cyber bullying — and then communicating the results clearly and openly, but anonymously, to students. “This system-level strategy would substantially increase the perceived risk of disclosure and would very likely be able to reduce further the already low prevalence of cyber bullying,” Olweus concludes in his paper. Publications > Observer > Editor's Choice > Are We Overreacting to Cyberbullies?